There can be little doubt that one of the most powerful and enduring ambitions of millions of people today, is to find out how to live lives of adventure and excitement, rather than submitting to the bleak backdrop of working in the same office building, in the same town, for decades, while never travelling abroad or having any experiences that could be considered to be out of the ordinary. 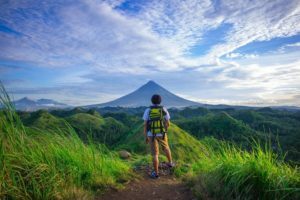 A new generation of “digital nomads” has led the charge to adventure in this regard, taking their jobs on the road, and seeing the world in all its splendour. With new business models and new technologies redefining the way we do things in the 21st Century, there’s no reason why you shouldn’t do everything in your power to live a life that you find as exciting and fulfilling as your imagination could conceive of. Here are a few jobs that you could investigate, and commit yourself to, that would allow you to travel the world. These days, stock trading can be online, and in fact, the technologies of the internet have become so embedded in the culture and business of the stock industry, that you can now find PayPal Forex Brokers who allow you to deposit or withdraw funds using the popular online payment gateway. Stock trading isn’t an easy career to make a fortune in, and it requires a good head for numbers, and a degree of patience and studious care which might not be for everyone. If, however, you like the idea of making your money by playing the world’s financial markets, this could be the career path for you — and one that allows you to live an affluent life down the line. It wasn’t so long ago that making a living as an author was an almost-impossible task, that seemed more like a one in a million blind gamble, than anything that could be considered a reliable career path for the vast majority of people. Largely, this has been due to the fickle nature of the various gatekeepers who have stood between authors and their audiences. Publishing houses are spoiled for choice and can pick or choose from an almost infinite number of potential authors and books. Those that do get published will be invested in, a bit, for a while, and will then be allowed to drop and go out of print if they’re not sufficiently profitable. With the ease of self-publishing through digital platforms such as Kindle Direct Publishing, and the ease of communication with a mass audience allowed and facilitated by the internet, your destiny as an author is largely in your own hands. Tim Ferriss exposed the world to the idea of making a living as an affiliate marketer while travelling the world, in his hit book “The 4-Hour Work Week”. Affiliate marketing is a great potential career choice for anyone who likes, well, marketing. To be a successful affiliate marketer, you need to be good at identifying niches, and then cornering them and marketing effectively to the public. You will sell through affiliate links and make commission on purchases, but you won’t have to hold any of your own stock. Your entire job will, for all intents and purposes, be online.